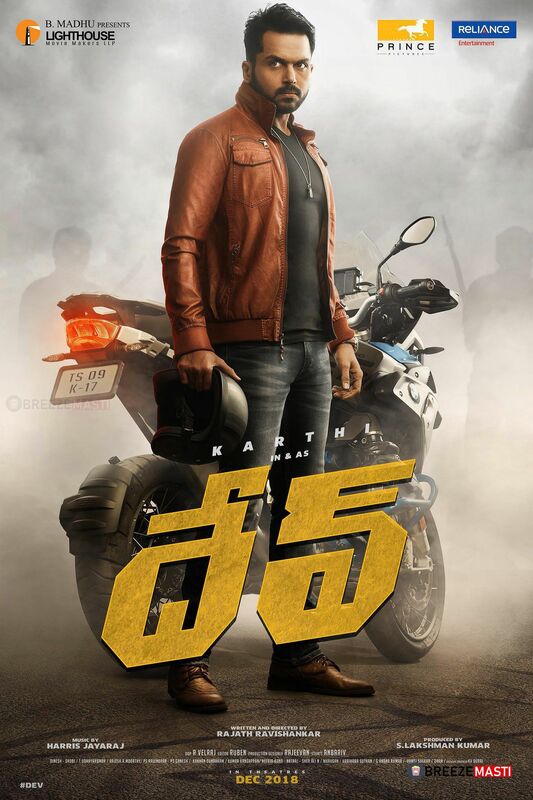 Dev is an upcoming Tamil-Telugu language action adventure movie starring Karthi and Rakul Preet Singh in the lead while Karthik, Prakash Raj and Ramya Krishnan play the supporting roles. The film is written and directed by Rajath Ravishankar, music by Harris Jayaraj, cinematography by R. Velraj and editing by Ruben. 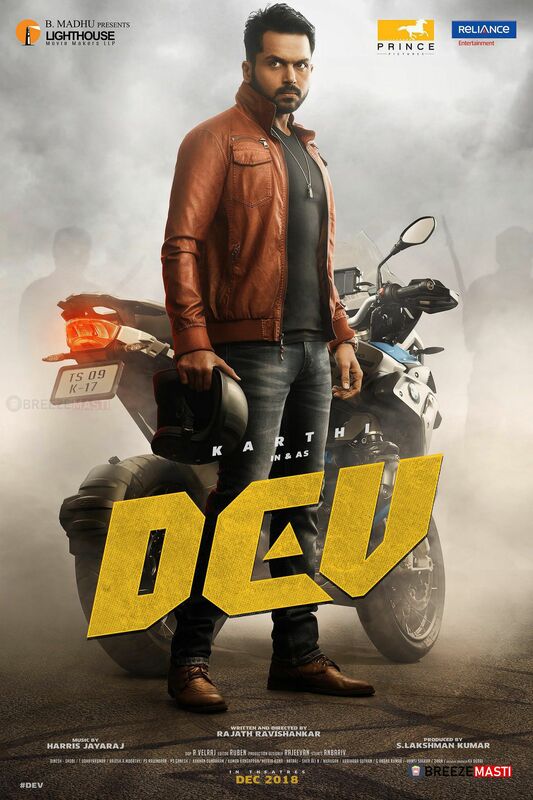 Dev movie is scheduled to released on December 2018.